June 2018, the price of housing has risen by an average of 6.4%. Capital cities and large cities are gaining momentum and are more than 10% higher year-on-year in June. The average price of housing completed in Spain increased by 6.4% year-on-year in the month of June. Driven by the "Capitals and large cities" and by the "Mediterranean Coast", which were revalued by 10.2% and a 7.4%, respectively. In the first semester, between January and June 2018, the index shows a growth of 4.7%, according to Tinsa IMIE index. May 2018, the price of housing rises 4.2%. The coast is reactivated in May and is up 3% year on year. Growth in May and placed the year-on-year increase in the average price of finished housing (new and used) in Spain by 4.2%, according to the Tinsa IMIE index. The "Mediterranean Coast" zone has been reactivated in the fifth month of the year and its average price stands at 3% above May 2017. Housing has recovered 10% of its value since February 2015 and remains 36.7% below the maximum reached in 2007. The highest accumulated price adjustment is on the Mediterranean coast (-46%), followed closely by metropolitan areas (-45.9%) and capital cities and large cities (-41.7%). The price of finished housing (new and second hand) rose 2% in April compared to the same month last year and accumulates a decrease of 39.9% from the highs reached in 2007, according to the Tinsa IMIE index. The growth registered in the fourth month of the year is due to the impulse registered in the capitals and big cities, with an increase of 6.1% in the last year, and of the Balearic and Canary Islands, with growth of 4%, being the zones which have increased their prices since April 2016. Another area that maintains its prices above those of a year ago is the Mediterranean coast, which revalued 1.3% in year-on-year rate in April. In contrast, metropolitan areas and other municipalities continue to average less than a year ago and recorded year-on-year declines of 2.6% and 1.4%, respectively. Prices 40% cheaper than in the real estate bubble. The cumulative decline in finished housing compared to the maximum levels reached at the end of 2007 is, for the second consecutive month, below the 40% level. According to Tinsa, the Balearic Islands and the Canary Islands are where the average price has dropped the least (-27.8%), as well as in the smaller towns (other municipalities), with a drop of 36.7%. 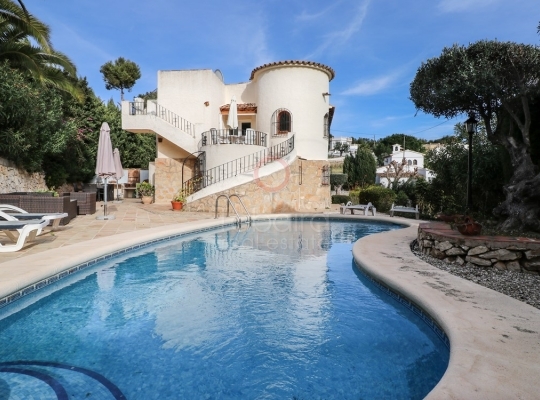 Tabaira Real Estate helps you find in Moraira villas for sale. 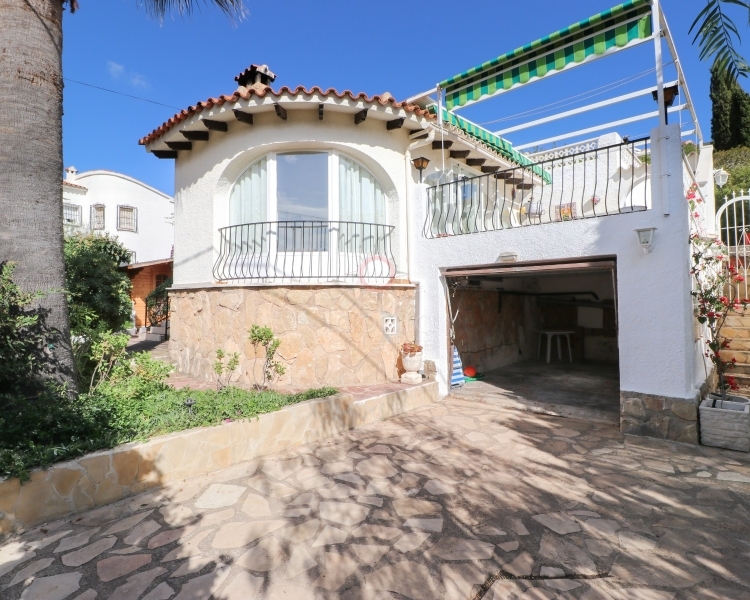 Whatever it is that you are looking for in Tabaira Real Estate Moraira you will find. Our agency has since 2005 worked hard to help our clients find their ideal home. To do this, our highly qualified professionals offer the best exclusive and personalized service, thus knowing the true preferences of customers and to find the home of your dreams. 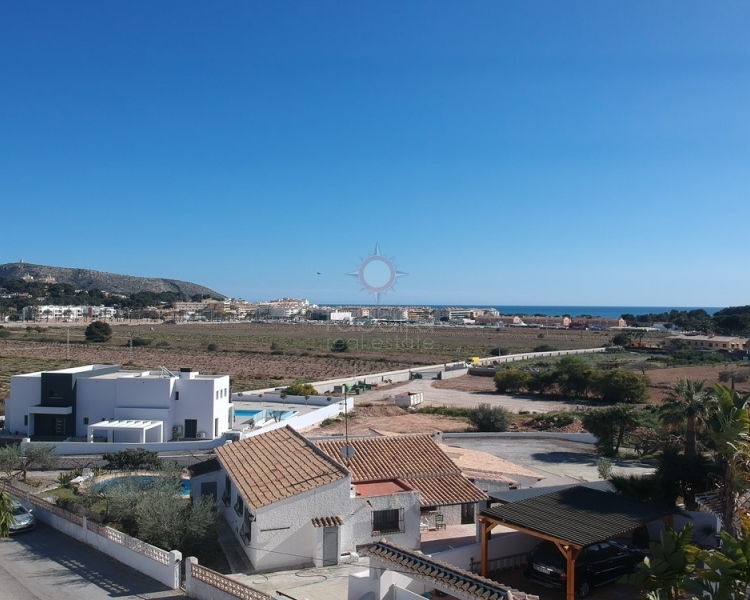 In addition to our homes for sale in Moraira, Tabaira Real Estate has houses along the Costa Blanca, especially north of it, in which are some of the most desirable place to live nationwide natural paradises. We offer you in Moraira villas for sale because it is about one of the most beautiful and touristic towns of the Costa Blanca North. Moraira was a small fishing village that, due to the tourist expansion that it has developed in recent years, has become a reference point for tourism in the Spanish Costa Blanca. Currently, more than sixty percent of its population consists of people from other parts of Europe, who have decided to establish their habitual residence here. The main causes are found in the wonderful climate that is enjoyed in Moraira and its coast, magical and charming. In Moraira the sun shines more than three hundred days a year and the rainfall rate is practically zero. Its annual average temperature oscillates around 20 degrees. These weather conditions encourage leisure activities or outdoor sports at any time of the year. You are still on time this winter to buy in Moraira villas for sale and enjoy the sunny and bright days of the Spanish winter. If we offer you in Moraira villas for sale it is for you to have the opportunity to enjoy its wonderful coastline. In Moraira you will find multiple and beautiful turquoise blue sea coves where you can have fun doing snorkeling or scuba diving. Discover the indescribable seabeds of its coastline, its caves, its flora and its fauna. The fun is guaranteed on its rocky beaches or golden sands. Can you imagine yourself having fun in a hydro-skate or doing kayak trips? Maybe you prefer to relax basking in the sun on the soft sands of the beach while listening to the murmur of the waves of the sea. Enjoy your Maritime walks bordering the beaches full of cafes, restaurants, gift shops and, above all, shops to acquire all the necessary items to spend a pleasant day at the beach. You will find a wide variety of swimsuits and bikinis, towels, T-shirts, hats and caps, sunglasses, sunscreen, umbrellas, easy-to-carry loungers, etc. Imagine watching the sunset with its reddish tones on the Mediterranean Sea. The beaches of Moraira offer you fun and relaxation. When buying in Moraira villas for sale, you will know the customs, culture and rich cuisine of the place. You will be able to taste the Mediterranean gastronomy and its exquisite paellas cooked with extraordinary ingredients such as fish and fresh seafood that arrives daily at the fish market. You will also have the chance to taste the "Mistela", a rich sweet liquor that is made locally, since the Roman times, with the "muscatel" grape that is grown in its agricultural valley. You will also have access to these rich products from your garden, ripened in the sun and freshly harvested, if you visit the weekly street market that is placed in the streets of the town. There, in addition to some delicious fruits and vegetables, you can also buy all kinds of generalist products and enjoy the great party that is the market day, where the whole town goes out to the street. 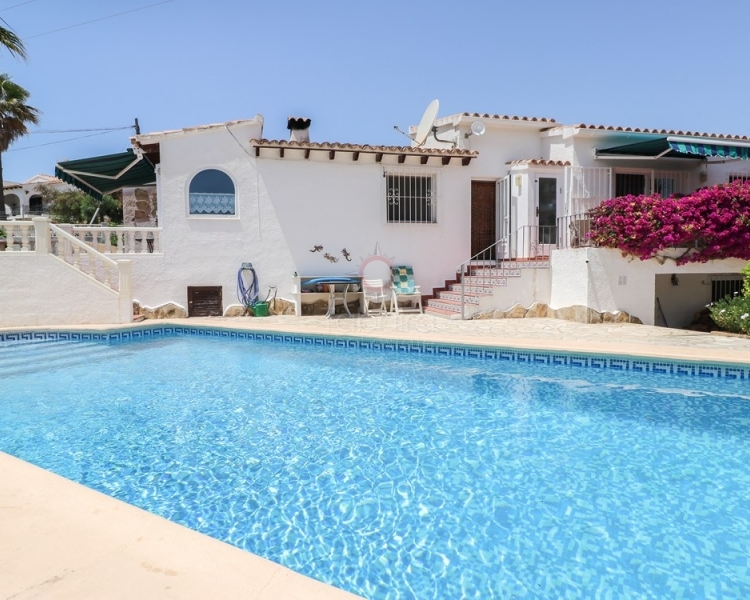 Lovers of nature and tranquility who do not want to give up the bustling beaches, find in Moraira villas for sale in its agricultural valley, very close to the sea. You will have the opportunity to live in a valley that represents the traditional agrarian landscape of the municipality. It is a protected landscape of high landscape and environmental value, where you can see an unparalleled native fauna, such as the Bonelli's eagle, kestrel, owls and the multicolored hoopoe. You will also be delighted by the song of the birds in freedom, like the goldfinches, the nightingales and the verderones. Both in the valley and in the Mediterranean pine forest, you will enjoy an ideal bucolic environment to lead a healthy and relaxed lifestyle. 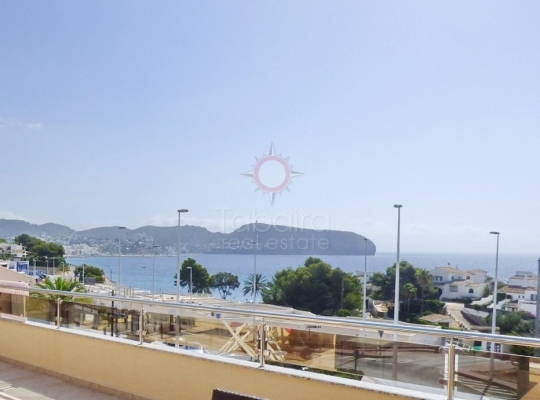 Moraira has beautiful residential surroundings around the urban core, where a large number of inhabitants of the countries of northern and central Europe live, who have decided to establish their residence here to live enjoying the sun. 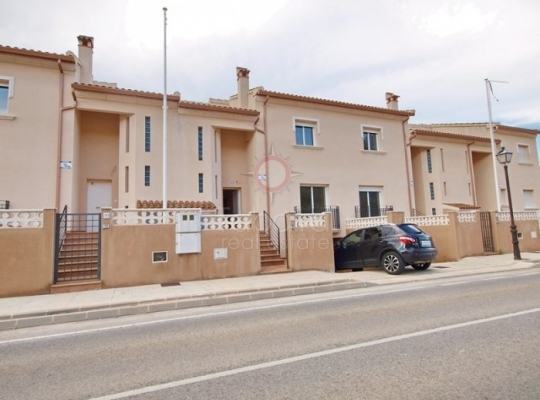 You will find in these urbanizations of Moraira villas for sale of various types. We have new construction or resale villas. They are built with a modern or traditional design, but in any case fit perfectly in the environment. If you want to make some kind of reform in your new villa, we can advise you on trustworthy personnel, who perform the necessary work to perfection. Our villas for sale are built in compliance with the current building regulations. They have the necessary thermal and acoustic insulation. Its large windows allow the entrance of sunlight to all rooms creating a homely atmosphere. They have a nice private plot where an attractive pool is located surrounded by a large solarium. This winter you are still in time to enjoy the wonderful sun of the Costa Blanca. Visit our website and you will find in Moraira villas for sale ready to move into. Do not worry about the procedures related to buying a house in Spain. Our highly qualified staff will take care of the arrangements while you dedicate yourself to enjoy the sea, the beach and the sun. You will be pleasantly surprised when you check both the professionalism of our real estate agents and their closeness in the deal. We are at your disposal to inform you about those aspects that you wish related to currency exchange, opening a bank account in Spain, domiciliation of receipts of housing supplies and taxes, contracting a life, health, housing or automobile insurance, etc. If you prefer to visit us personally, we are waiting for you at our offices located at Calle Iglesia, 4 - 03724 Moraira - Alicante (Spain). Our multilingual staff will attend you kindly on the Telephone: (+34) 96 574 41 79.